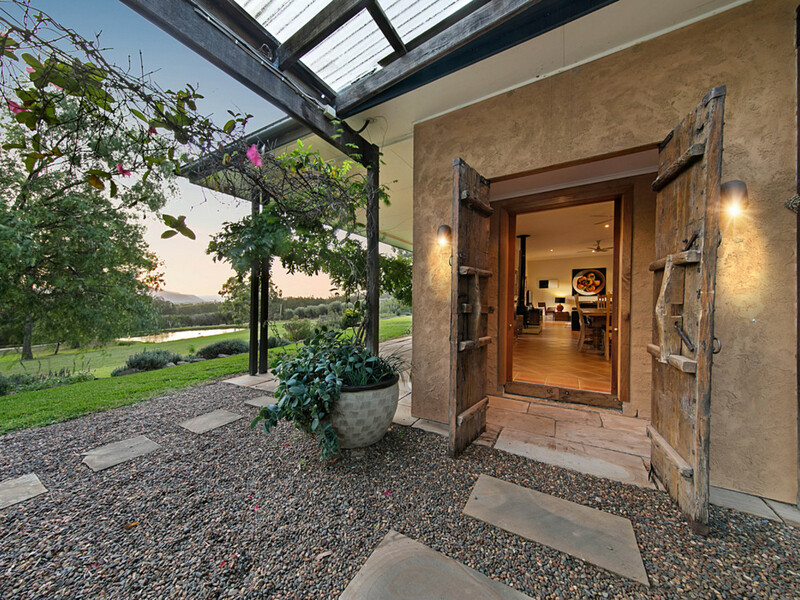 From the minute you enter the gate of Rocklee Grove you can feel the magic. 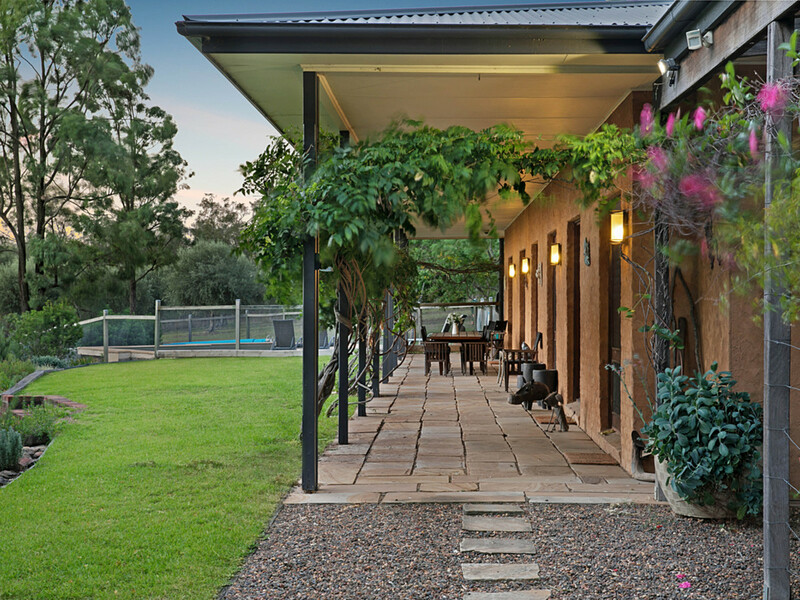 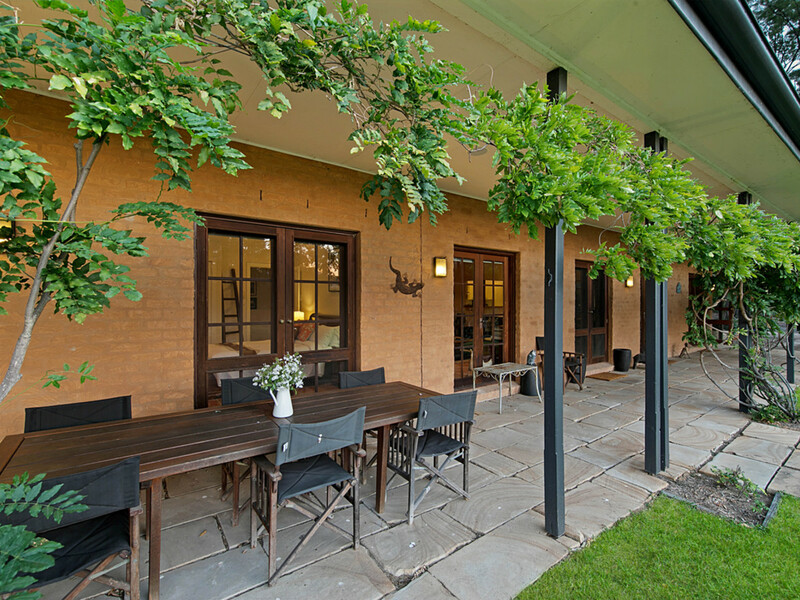 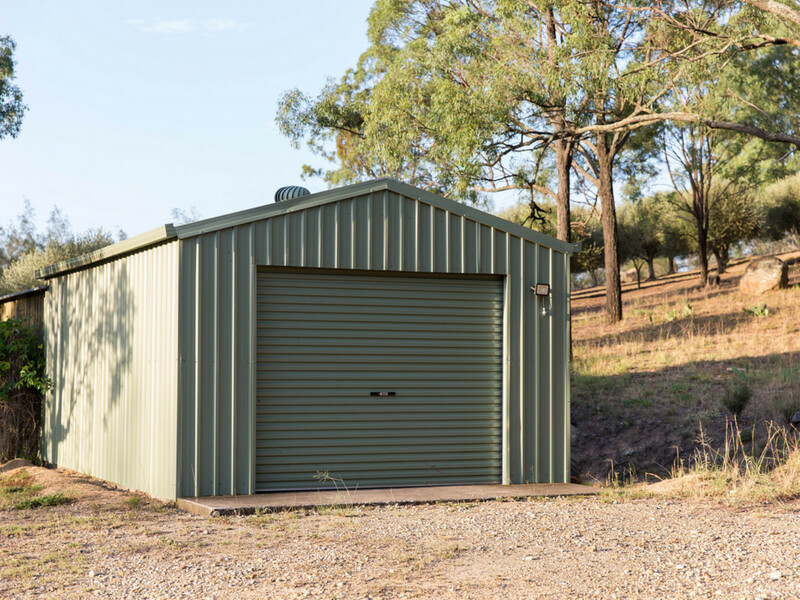 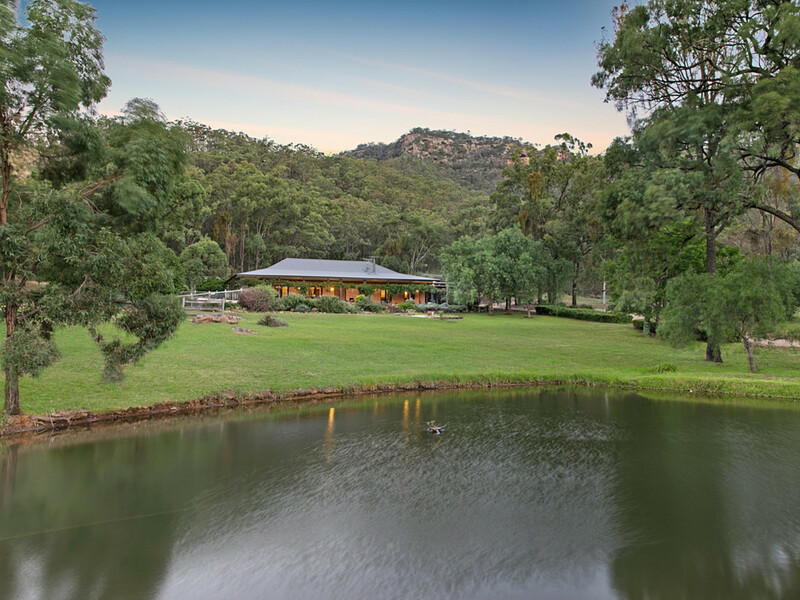 Adjoining the Pokolbin State Forest on two sides, Rocklee Grove is privately set under 2km from the Wine/Tourist village of Broke, giving it the perfect vantage point to indulge on the pleasures of the Hunter Valley’s Wine Region whilst also being a wonderful haven to escape the pressures of the outside world. 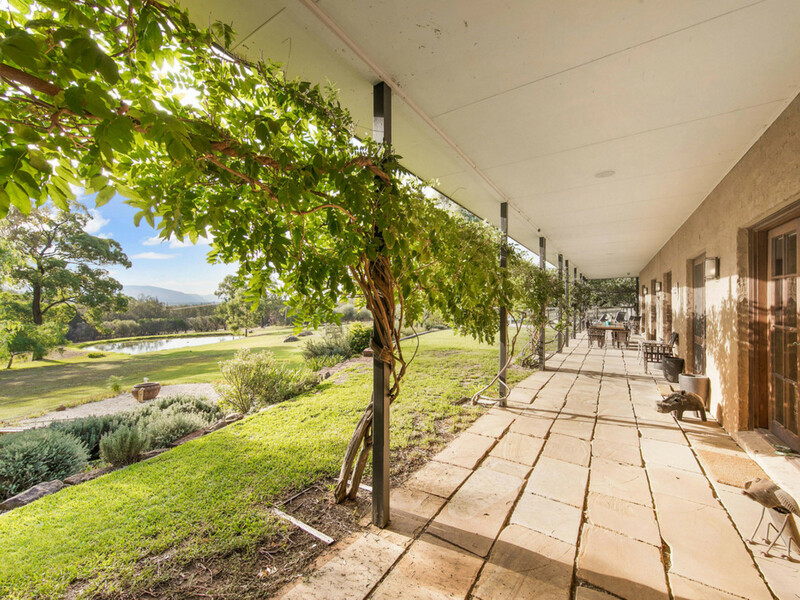 Picture perfect Rocklee Grove, with its stunning distant mountain views, also enjoys a breathtaking mountain backdrop. 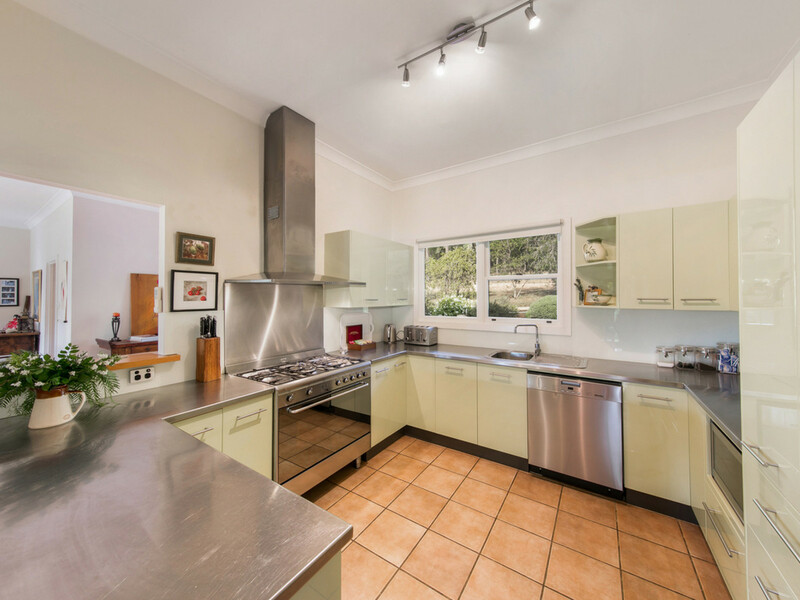 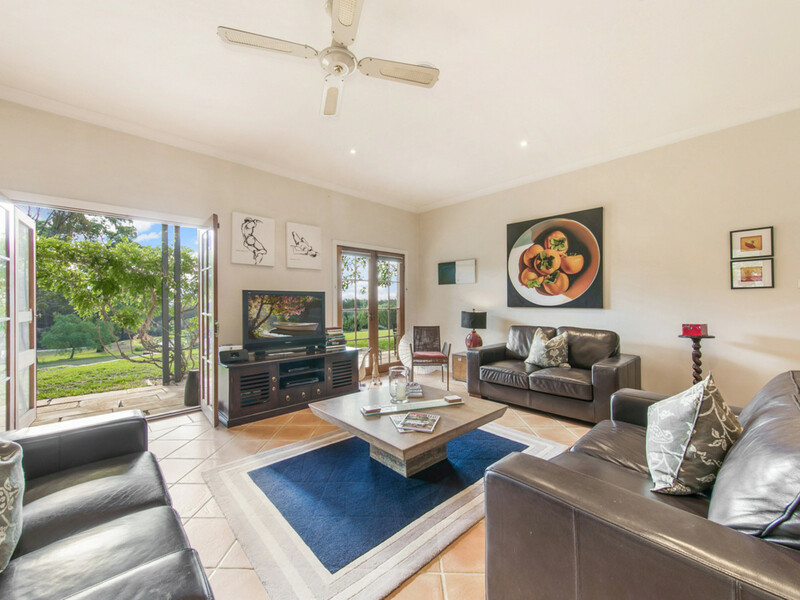 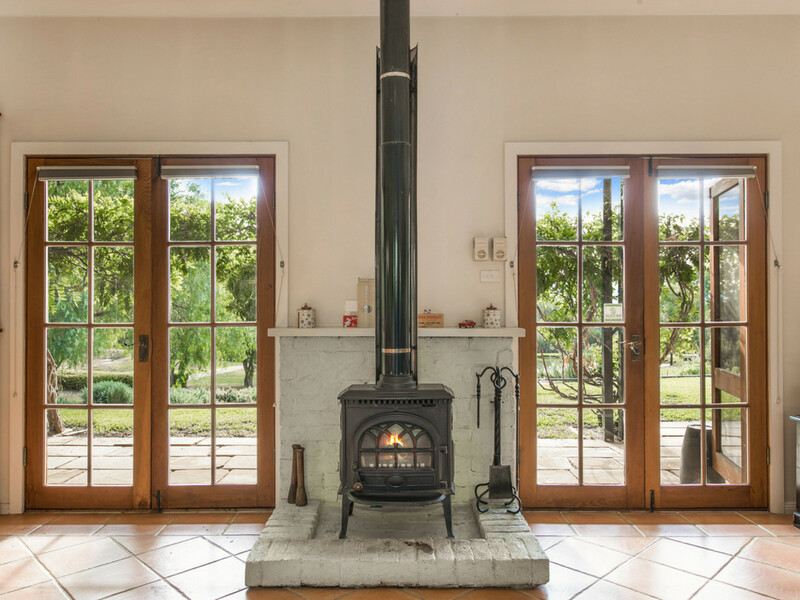 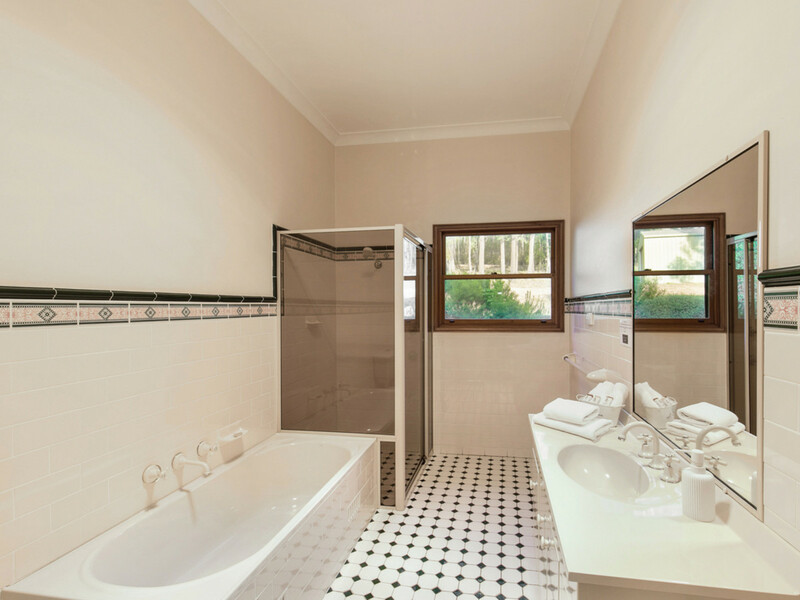 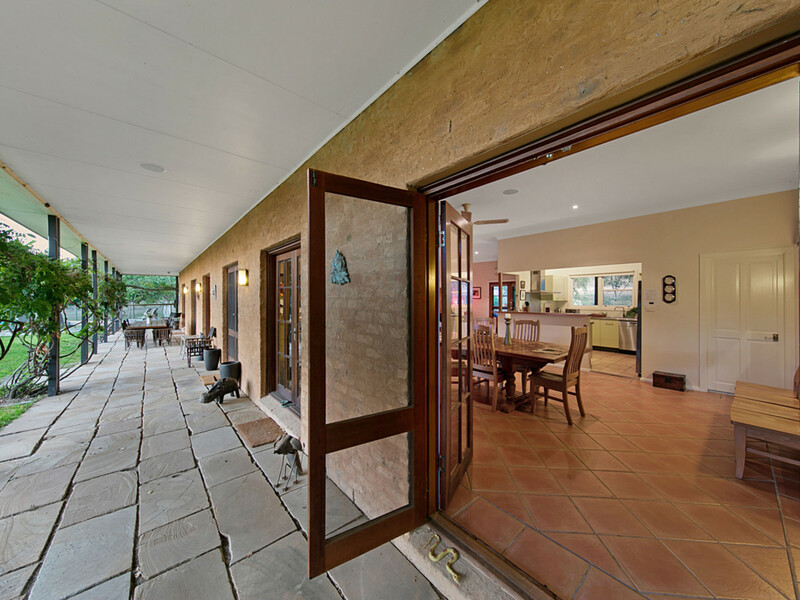 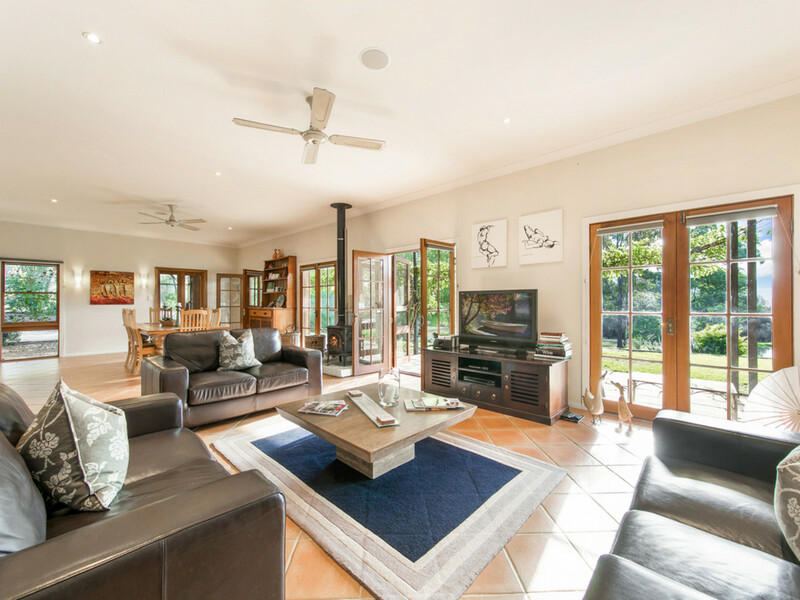 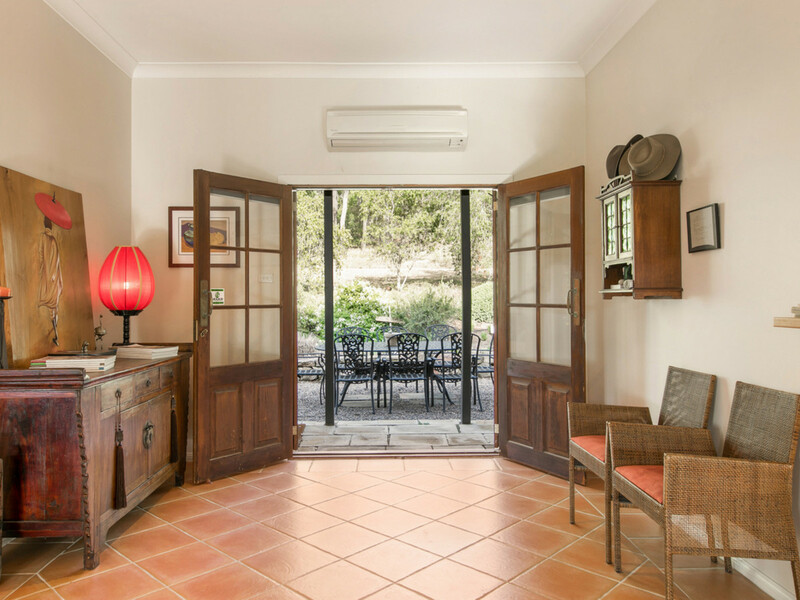 You will fall in love with the charming country home as you relax or entertain on the wide flagged stone verandahs, curl up with a book by the combustion fire or cook up a storm in the modern chefs kitchen with stainless steel benches and appliances. 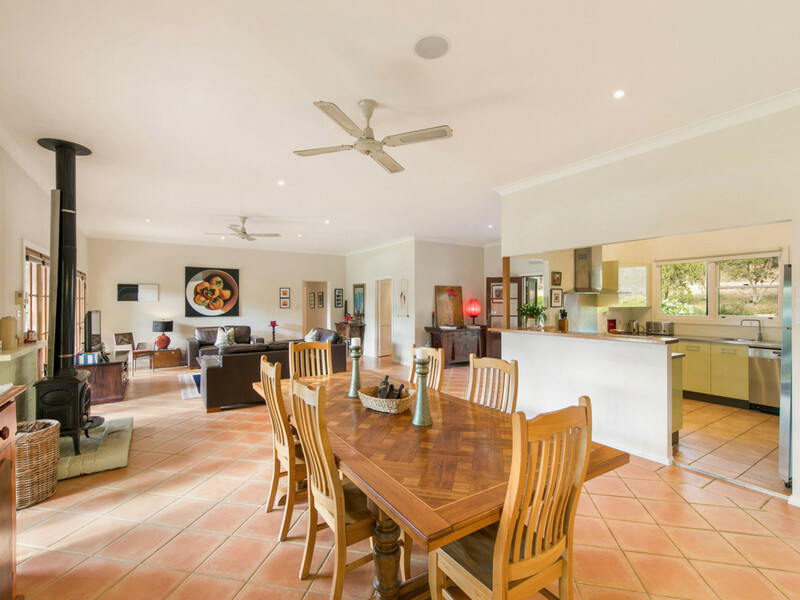 Spacious and light filled the beautiful home features tall ceilings, open plan living and dining, 3 bathrooms, air conditioning, ceiling fans throughout and French doors, which delightfully integrate the inside world with the outside. 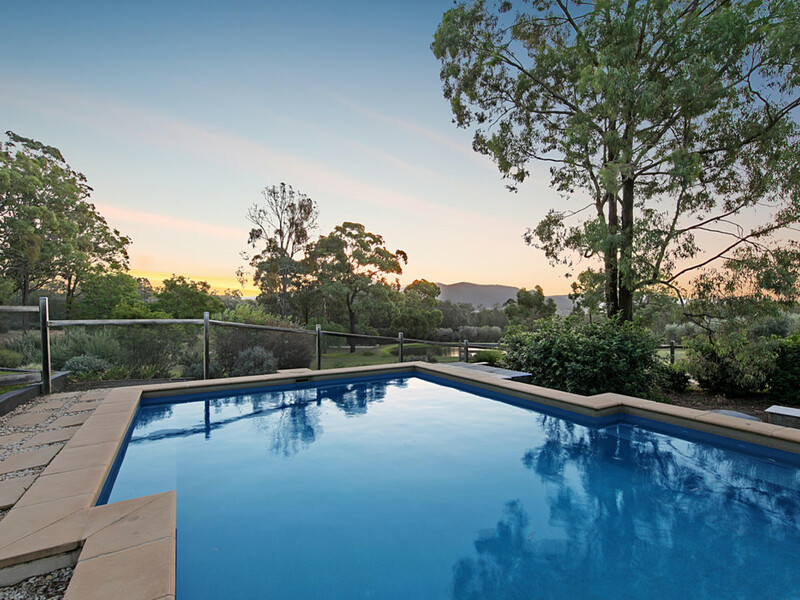 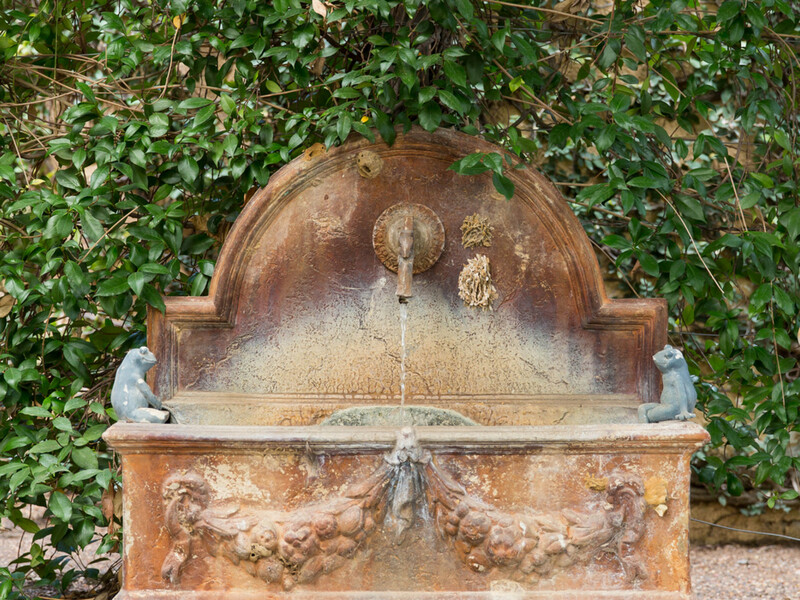 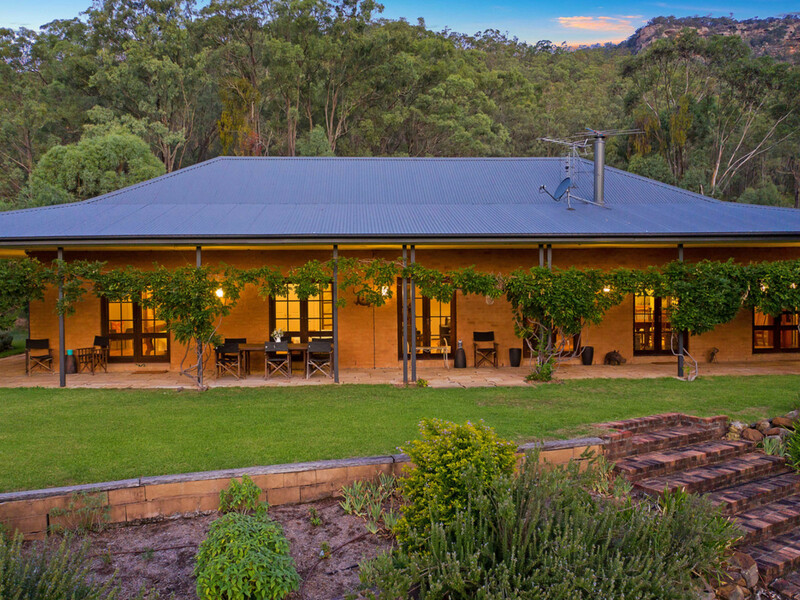 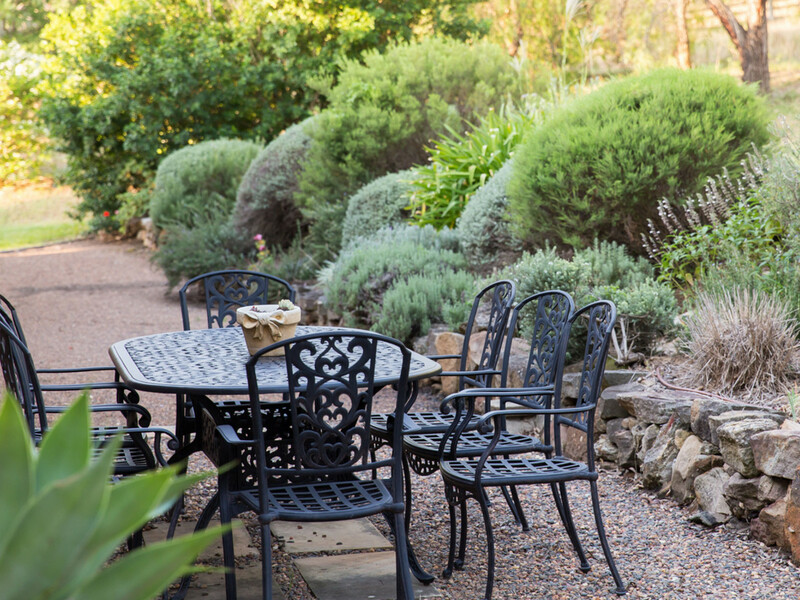 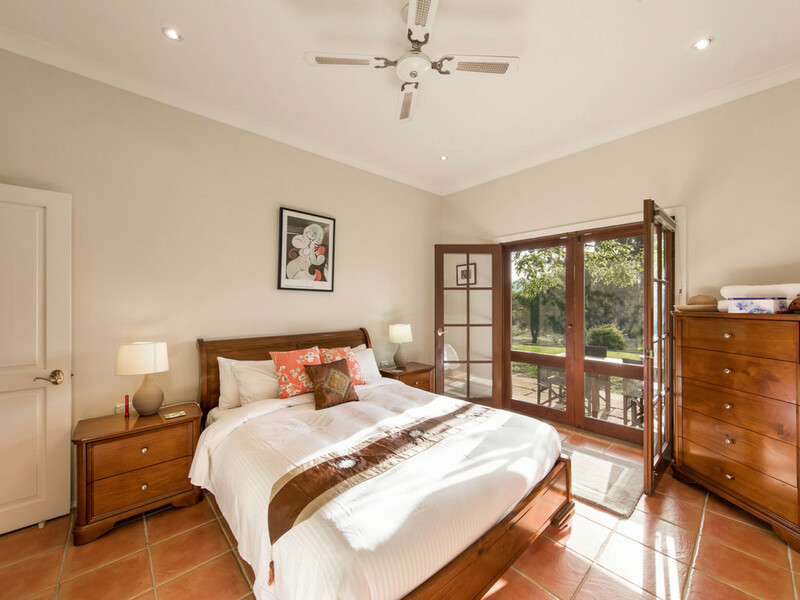 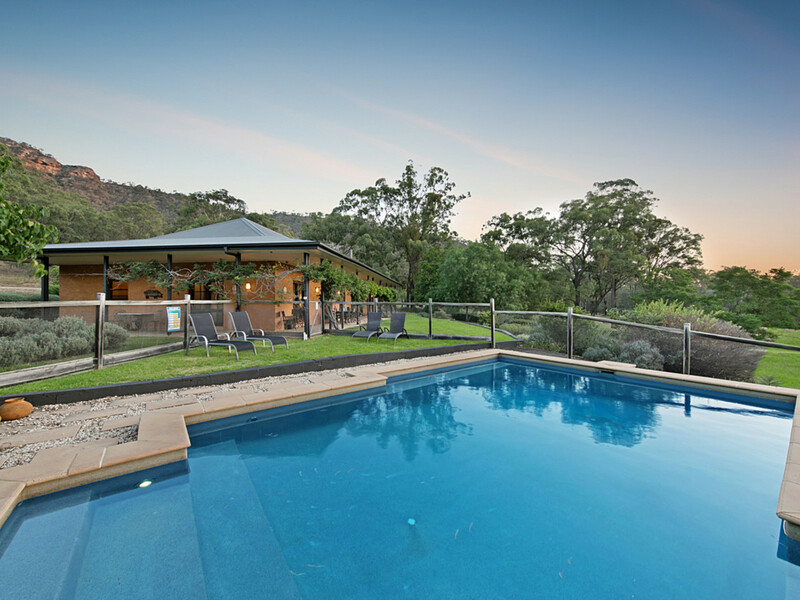 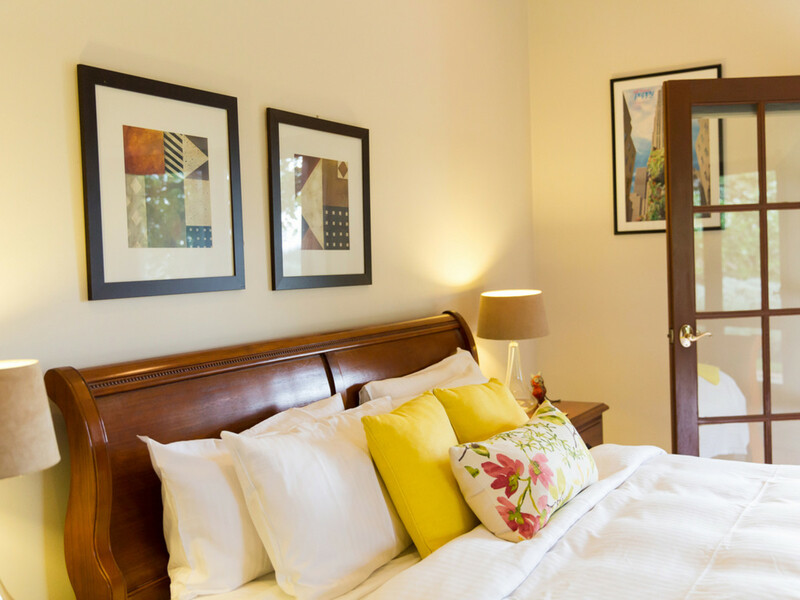 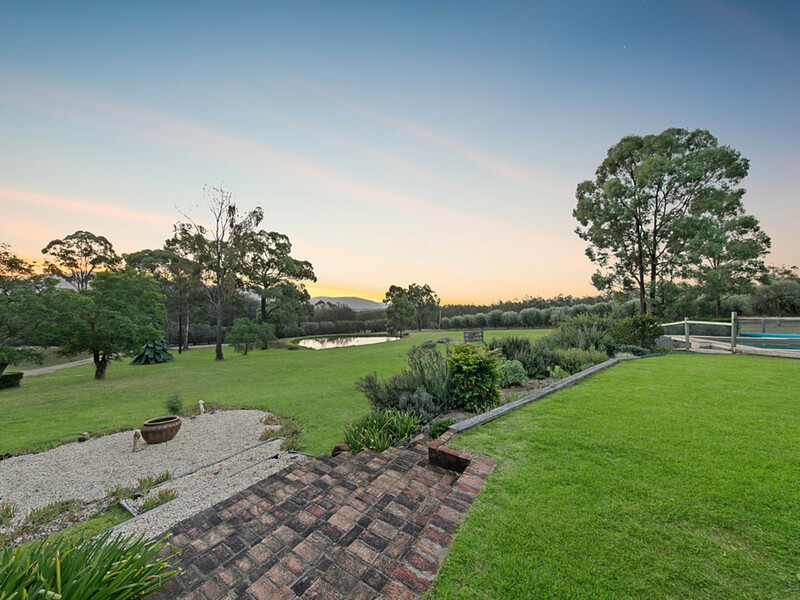 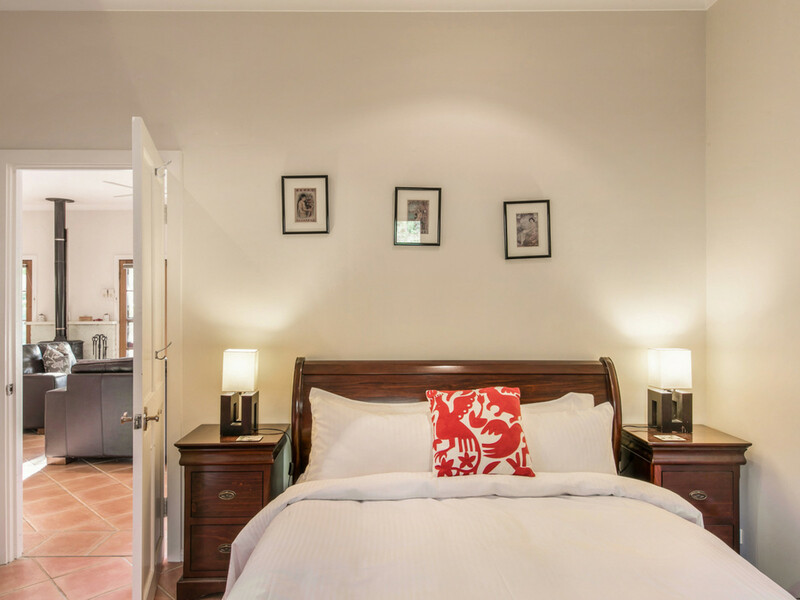 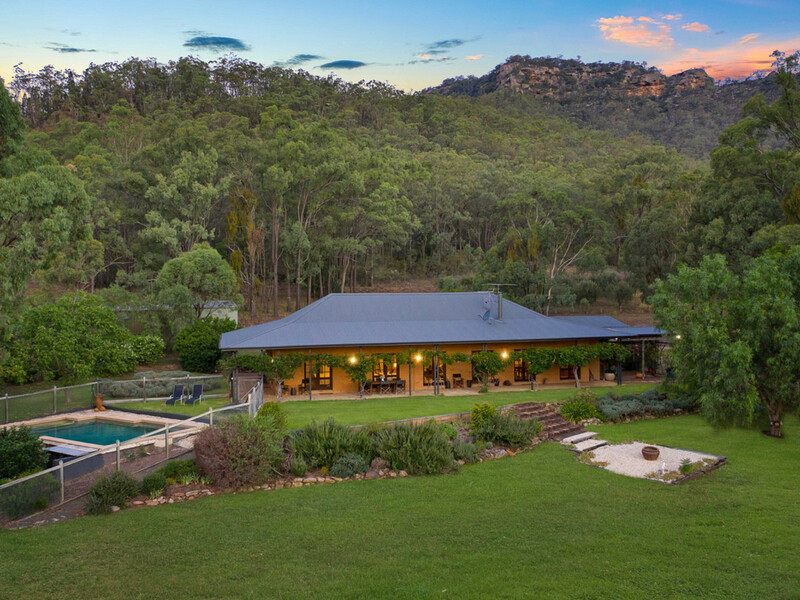 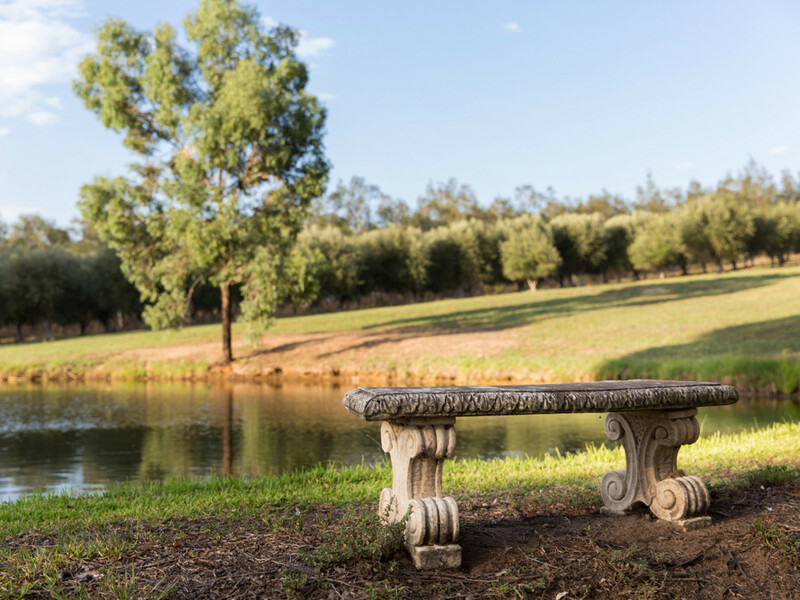 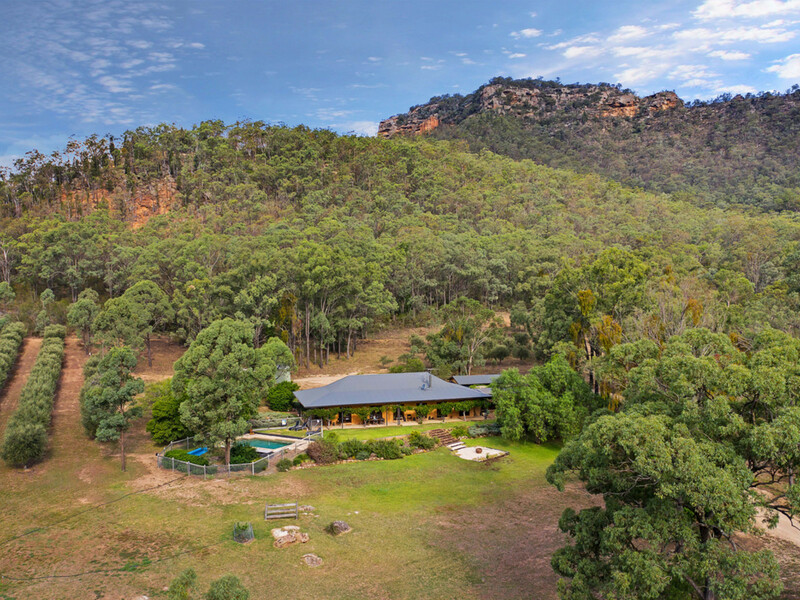 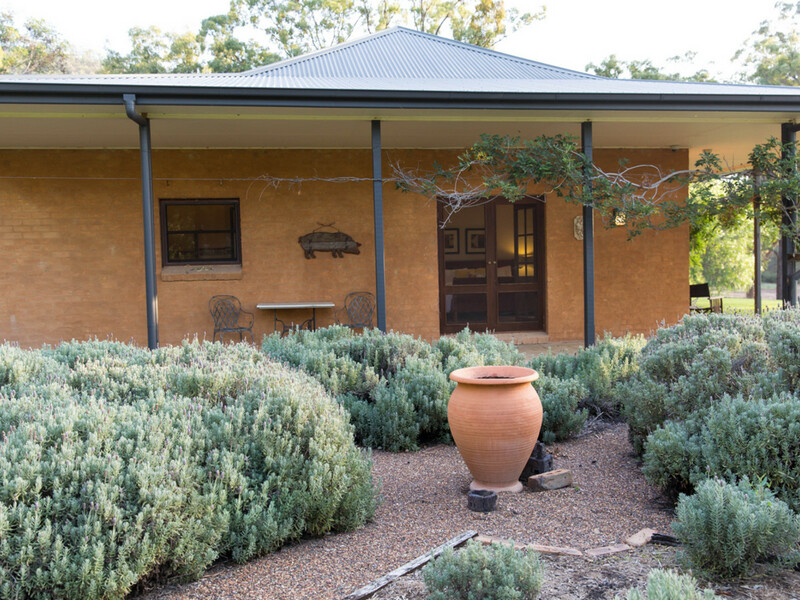 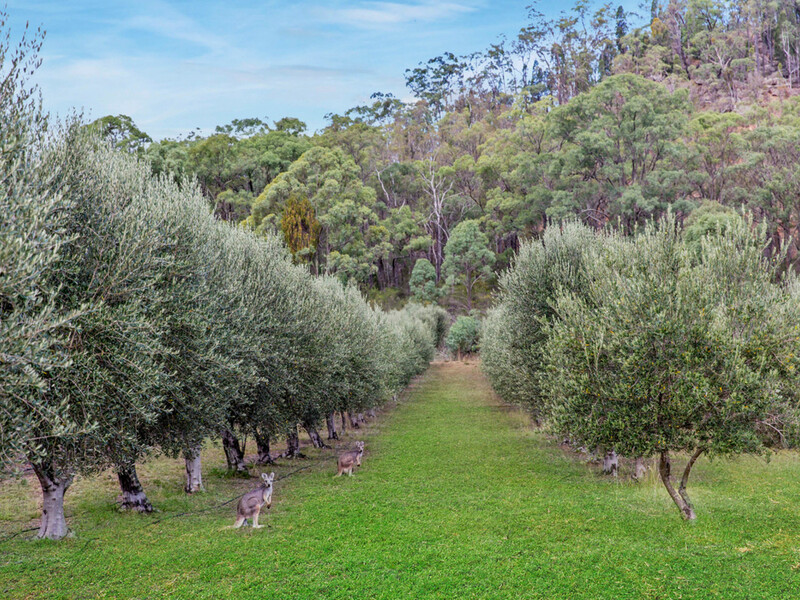 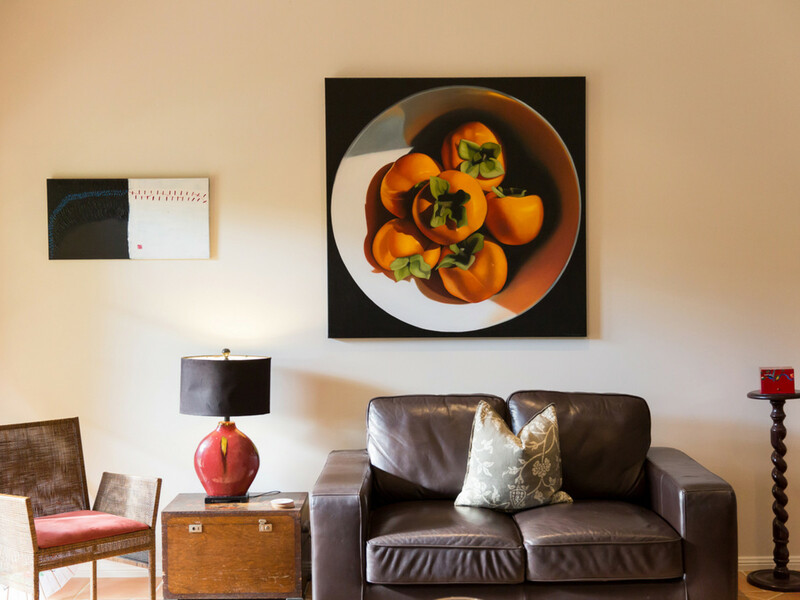 The 40 acre retreat with mature boutique olive grove, 2 dams and PID allocation provides a mystical environment to relax and lose yourself in the ambience, bushwalk and explore, to potter in the garden, to laze by the landscaped pool or whilst basking in the amazing scenery. 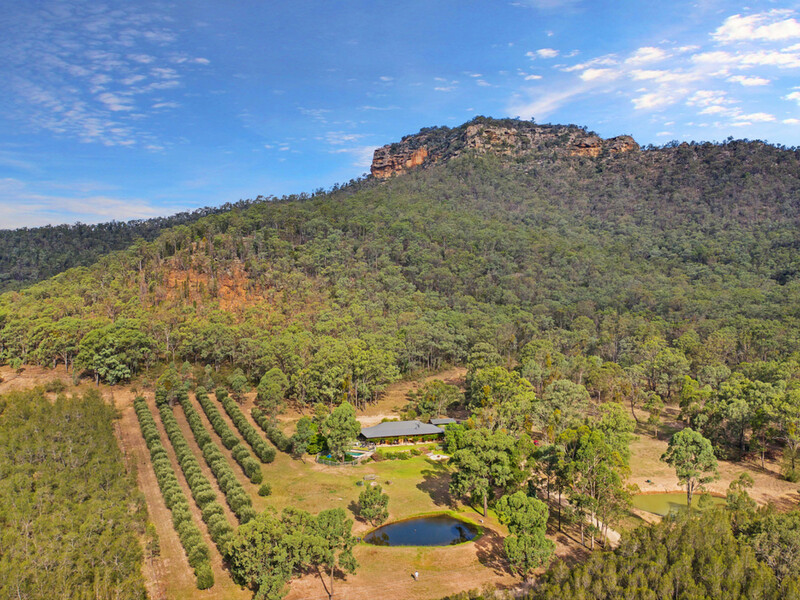 A sensational place to call home providing a rural lifestyle just minutes from a charming rural village, within easy driving distance of restaurants, cellar doors, golfing and concert venues, just 20 minutes from the thriving town of Singleton and approximately 2 hours from Sydney. 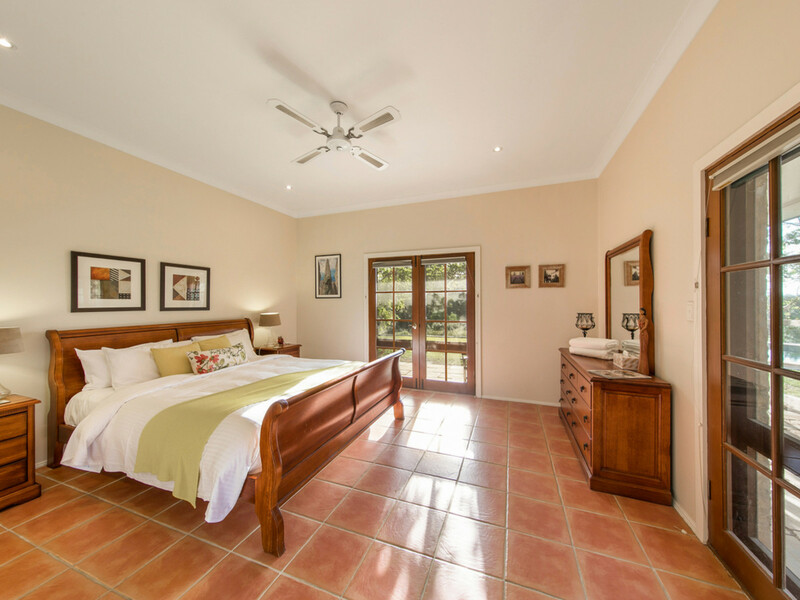 Rocklee Grove in its amazingly pretty and private location, would also ideally suit short term holiday rental.